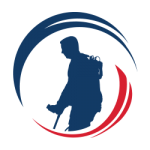 SoldierStrong, a nonprofit organization dedicated to providing advanced medical technologies to veterans, today announced the 2018 recipients of its SoldierScholar scholarship program. 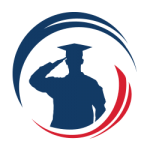 Awarded annually, the goal of this program is to fill any tuition gaps that may be left by the Post-9/11 GI Bill and is available to veterans who fought in the recent War on Terror. When Bonnie Lee Miley enrolled in the U.S. Navy 34 years ago, she gave up college and committed herself to service. After numerous tours, she returned home to the Reserves and resumed a normal civilian routine life. While in the Reserves, she got recalled to active duty during Desert Shield Desert Storm because of her skillset in telecommunications. The SoldierScholar scholarship is allowing Bonnie to finish her degree. She is committed to putting forth her best effort, always. Get to know Bonnie. A second-generation U.S. Navy veteran, Stephanie Primeaux has more than six years of experience in nuclear operations, maintenance, and management. She previously served as a Nuclear Electrician’s Mate on the U.S.S. Harry S. Truman and as Facilities Manager at the Fleet Readiness Center Mid-Atlantic. A working mom and dedicated wife, Stephanie is also interning at NASA’s Langley Research Center as a Cost Analysis Intern. Stephanie and her husband, a fellow active-duty Naval officer, recently welcomed their second child into the world. Stephanie is the first second-time recipient of a SoldierScholar scholarship. Born and raised in New Jersey, Robert Rivera enlisted in the Army Guard and Reserve after high school, where he completed assignments in Military Intelligence, Military Police and the Infantry. He also served in several emergency assistance organizations, including being a first responder at the 9/11 attacks at World Trade Center as a member of the Edison, N.J. Fire Department. Following his discharge from the Army, Robert enrolled at Syracuse University, where he is simultaneously pursuing an Executive Master’s degree in International Relations and his Master of Science degree in Public Relations. 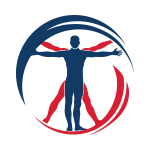 To learn more about the SoldierScholar program or to donate, visit https://www.soldierstrong.org/scholarship.